Today I read this story from the Samyutta Nikaya (Vina Sutta), and found it so beautiful in its demonstration of our existence. I will attempt here to give you my layperson’s (Upasaka) version of the story. There was once a King who had never heard the sound of a lute before. Upon hearing the sound, he thought how he had never heard such a beautiful and intoxicating sound in his life before. He immediately ordered one of his servants to go and fetch this lute for him. Once he got the lute in his hands, he wanted to know why he was not hearing the delightful sounds any longer. 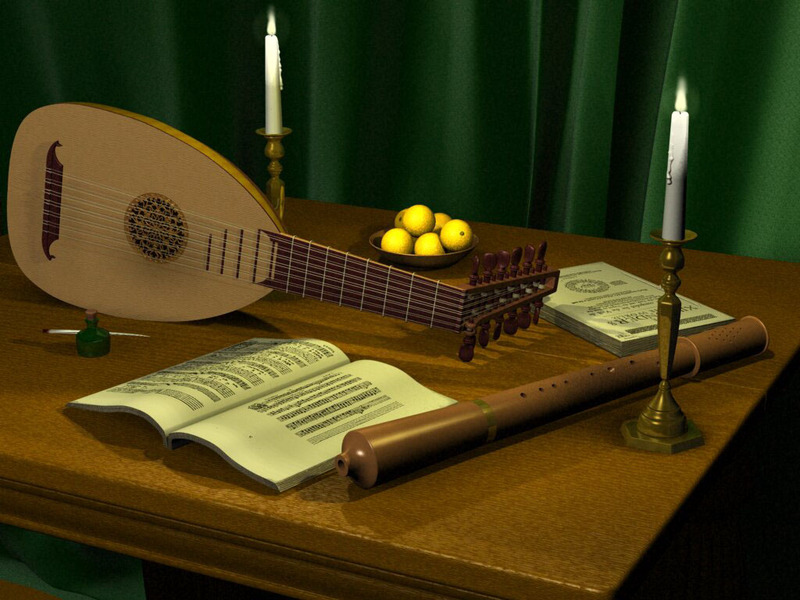 His servant then explained that the lute is made up of many different parts and components. That the combination of elements, and appropriate human effort are how the sounds emanate from the lute. So the King proceeded to take the lute apart into several pieces, then hundred of pieces, searching for the beautiful sound. Finally the King concluded: “A sorry thing, this lute – whatever a lute may be – by which people have been so thoroughly tricked & deceived”. I think this story is very beautiful on so many levels. We can investigate things on many levels, but will never truly see the beauty in this existence until we let go of the self. We are all part of that beautiful music. Every sentient being, every blade of grass, the Sun and the Moon, the earth, the air and the sky. And no matter how hard we may try to take it apart or break it down, control or posses it, we will not find the music until we open our hearts and minds and see the music is made up of all things both seen and unseen. Have I got a story for you… Drop the story Have I got a story for you!